Are you looking for Pediatrician jobs in Ohio? Look no more! Doctor’s Choice Placement – Your #1 online resource for Pediatrician Recruitment! Physicians who have completed a three year residency in the field of pediatrics after completing medical school are called pediatricians. They must also take and pass a written exam to be certified by the American Board of Pediatrics. All pediatricians are up for recertification every seven years to prove that they are still at the level needed to be considered a competent pediatric specialist. The pediatric residency is a time where future pediatricians learn how to take what they learned in medicals school and apply it to the treatment of patients from infants to young adults. To educate parents and evaluate patients in order to reduce infant and child mortality. To diagnose and treat patients in an effort to control infectious diseases. To educate parents and children about healthy life choices so that the patient may have a healthy lifestyle. To ease patient pain and difficulties by diagnosing and treating chronic conditions in children and adolescents. If a child shows signs or symptoms of any of the problems listed above, they will contact a specialist that will be better equipped to make a more accurate diagnosis and treatment plan. Pediatricians will consult with all sorts of specialists in order to insure the best possible care for their patients. They will consult with pediatric surgeons, pediatric cardiologist, or even therapists. This is all to insure that the physical, mental, and emotional well being of their patients are adequately cared for. Ohio is probably one of the more exciting Mid-Western states. It is home to Columbus, Cleveland, and Cincinnati and over eleven million people. There are many open pediatrician jobs in Ohio that are waiting for pediatric professionals to find them. Ohio is also known for its amazing museums, national parks, and zoos. Best of all, Ohio hosts over ten nationally and regionally recognized hospitals. Come check out what Ohio has to offer. At Doctor’s Choice Placement Services, Inc. we have a database of Pediatrician jobs in Ohio that is updated daily and open for use without registration. 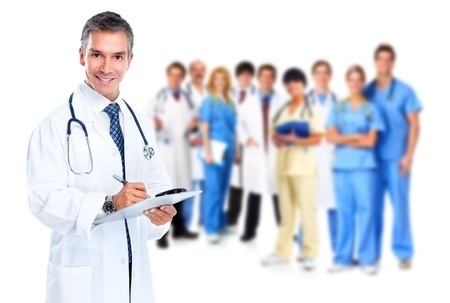 All our services for physicians seeking jobs based on his or her training and experience are free. We have the jobs you want and will charge you nothing for helping you find a place you want to work. Come and see how we can help you! Doctor’s Choice Placement Services, Inc. will find you the pediatrician(s) you need quickly. We offer a physician search and placement service with no fees until we have found you the doctors you are looking for. If you would like to start the process of finding physicians for your pediatrician jobs in Ohio, all you have to do is call us at (800) 510-0975, contact our Ohio Pediatrician Recruiters, or go to our Ohio Pediatrician Employer page. Come and see what we can do for you!